We're setting the foundation for a future where homeless animals are saved, not killed. Together, we can create a No-Kill community. Imagine Baytown as a no-kill city. Imagine that instead of homeless animals dying due to lack of space, an arbitrary time limit, lack of exposure, untreated medical conditions, undesirable physical traits, age or physical disability, they were saved and adopted into loving forever homes. Can you see it? We can. A Life to Live is committed to ending the killing of homeless cats and dogs within the City of Baytown's municipal animal shelter through the implementation of life-saving sustainable solutions and programs. DONATE to support a no-kill future. Our Good Felines Program serves the feral cat population by humanely and effectively limiting the reproduction of community cats through targeted trap, neuter, return and shelter, neuter, return. We aim to bring awareness to the community and create compassion for feral cats through education, outreach and services that provide an opportunity for community cats to live their full lives and lower the birth rate of homeless pets. We love volunteers. We actively seek compassionate animal lovers within our community to help us in a variety of ways to save lives. Volunteers help with walking dogs, photography, cleaning kennels, social media, foster care and much more. There are numerous ways to get involved to help us continue to fulfill our mission of saving homeless cats and dogs and to ultimately create a n0-kill Baytown. We are 100% foster-based. All of our current adoptables are in the temporary loving care of approved foster families. 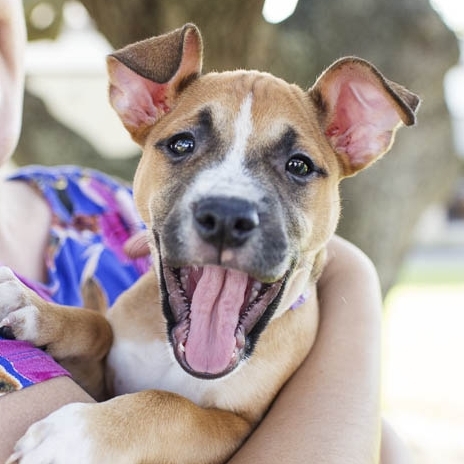 Our Foster Program consists of a network of volunteers committed to saving the lives of homeless pets by opening their homes to provide shelter, food, water and care until the pet is adopted. We can't reach our no-kill goal without these hard-working, dedicated and compassionate people. An effort to commit the City of Baytown to becoming a no-kill community came to fruition on Sept. 14, 2017, with the unanimous passage of a resolution by City Council. The measure states that by 2025, 90 percent or more of all healthy adoptable animals entering the city’s animal control facility will be saved. Further, the resolution states that the city supports implementing programs and policies to become a no-kill facility by increasing live outcomes and decreasing euthanasia. A Life to Live led the push for the resolution. We received full support from City Council member Robert Hoskins, who worked with us to draft the resolution and introduce it to City Council. Jay Garrett Jr., founder and executive director of A Live to Live, spoke in favor of the measure at the Aug. 24 meeting alongside representatives from Friends For Life, Best Friends Animal Society and Spay-Neuter Assistance Program. Supporters gathered for a photo after showing their support of the no-kill resolution discussion with City Council on Aug. 24, 2017 at City Hall. While the goal for achieving no-kill is 2025, the work needed to achieve that status is already underway. In the aftermath of Hurricane Harvey, A Life to Live volunteers worked with city staff and other partners to reach and maintain a live release rate that exceeded 90 percent. We have taken a multi-faceted approach in working toward no-kill. Efforts have included reuniting people with displaced pets at Baytown Animal Shelter and in the community; providing pet food and supplies to help keep people and their pets together; assisting with adoptions at the shelter and through large-scale adoption events; recruiting new foster families to rescue pets from the shelter; expanding our roster of rescue partners and transporting pets to reputable organizations within a 200-mile radius of Baytown; and working with veterinarian partners to provide low-cost and free services to rescued and owned pets. This work must continue to grow so that we can reach more people and save more pets. A Life to Live leaders, volunteers and supporters gather for a photo on Sept. 14, 2017 following the unanimous passing of the no-kill resolution. A Life to Live also hopes to implement several nationally recognized life-saving programs in partnership with the City of Baytown. Included is our Good Felines program, which serves the community cat population by humanely and effectively limiting the reproduction of free-roaming cats through trap-neuter-return and shelter-neuter-return. Another program is PASS (Positive Alternatives to Shelter Surrender), which has been proven to decrease shelter intake and increase live release outcomes. Over the course of 4 years, the Live Release Rate (LRR) for dogs has increased by 40% and the Live Release Rate (LRR) for cats has increased by nearly 30%. To reach no-kill status, the Live Release Rate (LRR) must reach a minimum of 90% for both, cats and dogs. There's much more work to be done, but this fiscal year data trend over the last 4 years shows progress in the right direction. In Fiscal Year 2017, from October 2016 to September 2017, the city shelter had a live intake of 2,498 dogs and 1,651 cats. Out of the live intake of 2,498 dogs, 709 were euthanized and 1,738 had live outcomes (returned to owner, rescued, adopted, transported). Out of the live intake of 1,651 cats, 1,020 were euthanized and 513 had live outcomes (returned to owner, rescued, adopted, transported). Out of the 2,498 dogs that entered the facility during Fiscal Year 2016-2017, 709 were euthanized. This equates to a euthanasia rate of 28%. Out of the 1,651 cats that entered the facility during Fiscal Year 2016-2017, 1,020 were euthanized. This equates to a euthanasia rate of 62%. Collectively, accounting for dogs and cats, the end of Fiscal Year 2017 euthanasia rate was approximately 45%. In relation to the national average, the euthanasia rate is 5% lower. In comparison to the State of Texas, the euthanasia rate is 5% higher. The above data is based on monthly reporting from the City of Baytown Animal Control Department. No-kill has a benchmark of a 90% Live Release Rate (LRR) for all animals entering the shelter system. The current Live Release Rate (LRR) for the City of Baytown, inclusive of cats and dogs, is 55%. Tracking and reporting statistics is vital to the success of any organization. Data allows an organization to effectively establish a benchmark and create accurate projections when forecasting future progress and development. The data also provides factual information about current operations and may highlight gaps to better assess opportunities for improvement. A Life to Live believes in transparency. Shelter transparency helps save the lives of dogs and cats in shelters. Access to the data gives you, as a taxpayer or donor, insight into animal shelter facts and how the shelters in your area are performing. They also can give you an idea about how you can help. The Imagine Baytown Community Scorecard was implemented by City of Baytown City Council after a year-long process of evaluation, research and review to determine the desired course for the City over the next five years. Based on feedback and surveys conducted with the community, Imagine Baytown consists of five directives that are to be implemented and met within five years, a 5-Year Strategic Plan. The directives include: Community Reputation & Image, Infrastructure and Mobility, Community Amenities, Neighborhood Quality and Operational Success. Under Operational Success, the City has indicated the "Animal Live Release Rate" as a top priority item, with 90% being the target mark per the no-kill resolution presented by A Life to Live, with the support of Councilman Robert Hoskins, in August 2017 and passed by City Council in September 2017. Operational Success is identified as, "respect, appreciation, value, trustworthiness, competence, honesty, excellence, continuous improvement, personal integrity, and organizational transparency." The above chart is provided by the Imagine Baytown Scorecard webpage to represent the monthly live release rate from June 2017 to April 2018, where blue represents the average live release rate for that given month. Notice, 90% is the target goal as set forth by A Life to Live and passed by City Council in September 2017 within a no-kill resolution. Note that the peak within this given chart is during the month of September 2017 where A Life to Live ramped up rescue and transport efforts to assist with ensuring live outcomes following Hurricane Harvey. Over the course of the last 4 years, A Life to Live has been leading the animal welfare movement in Baytown and has helped increase the live release rate by more than 40%. Local laws, like animal control ordinances, are part of a city and/or county code. Ordinances often include sections on animal cruelty, ownership, at-large regulations, spay/neuter, impoundment and licensing. For community cats, the inclusion or omission of just a few words in these laws can be the difference between life and death. Many local laws are punitive. 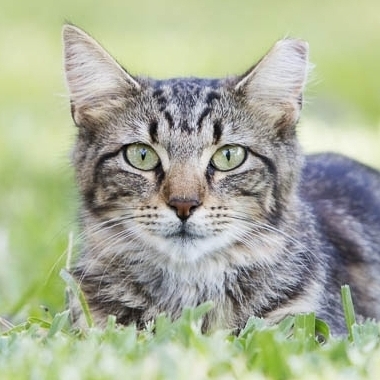 We seek to change the City of Baytown's local ordinances into positive laws that save animals and meet the needs of pets, owners, community cats, caregivers and the community at large. The City Council is the City of Baytown's legislative and policy-making body. The 7- member Council provides community leadership, develops policies and guides the City in delivering services and achieving community goals, while encouraging awareness and involvement. Pursuant to its provisions and subject only to the limitations imposed by the state constitution and by city charter, all powers of the city are vested in the elective council, which enacts local legislation, adopts budgets, determines policies, and appoints the City Manager. The Baytown City Council is comprised of six elected Council members, one from each respective district, and one Mayoral position elected "at-large." Council Members and the Mayor are each elected to a term of three years, with elections staggered so that no more than three members are up for election in a particular year. Baytown City Council meetings are typically held the second and fourth Thursday of each month at 6:30 p.m. Meetings, which are open to the public, are held in the City Council Chambers, located in City Hall, 2401 Market St. Meetings are streamed live online and broadcast on Comcast Channel 16. They are also available on demand and rebroadcast daily.